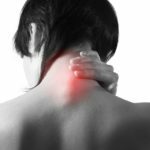 Are You Suffering a Sore Neck From Sitting At The Computer? 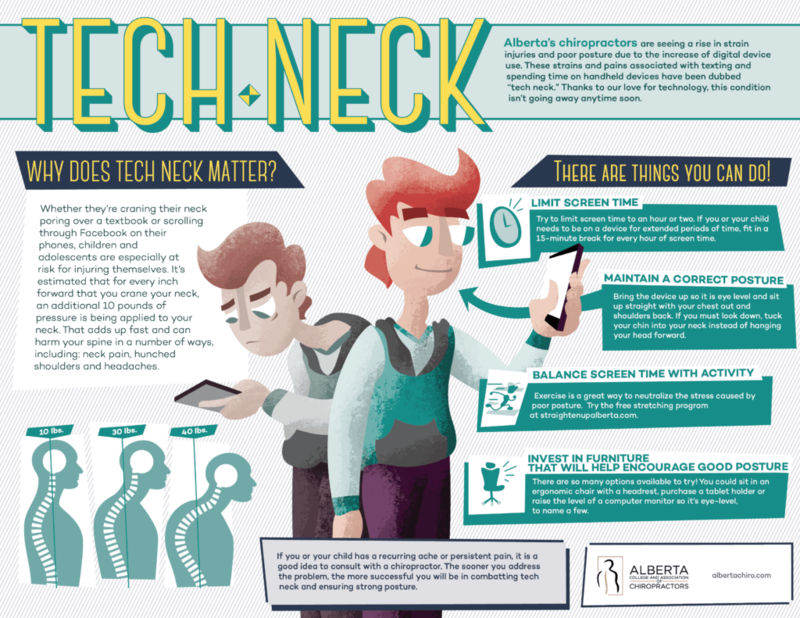 You May Have Tech Neck! Back to school means more screen time as well as more time in front of the books or working at a desk, laptop or computer. It is no secret we are seeing a rise in strain injuries and poor posture due to the increasing use of digital devices. Strains and injuries that come from postures while texting and using handheld devices have been dubbed “Tech Neck.” A safe bet is that technology is here to stay so here are some tips and tricks you can do to prevent getting hurt. Whether they are craning their necks poring over a textbook or scrolling through Facebook on their phone, children and adolescents are at increased risk for injuring themselves. A quick measure is to see how far out in front of their shoulders their ear is. Its estimated that for every inch forward you crane your neck (ear out in front of your shoulder), an additional 10 pounds of pressure is being applied to your neck. That adds up fast and can harm your spine in a number of ways including neck pain, hunched shoulders, and headaches. There are things you can do about Tech Neck! Correct posture: Instead of holding the phone down and bending your head down to see it, Hold it up at eye level and sit up straight with your chest out and shoulders back. If you need to bend your head down, tuck your chin into your chest rather than hanging your head forward. You need to be especially mindful of this if you wear progressive lens eyewear. The reading part of the lens is in the bottom part of the glass so you will naturally adjust your head and neck posture to focus. This will increase the strain on your neck. Invest in furniture that will help encourage good posture: There are many options you can try to improve the ergonomics of your workstation. If you or your child has persistent pain, it is a good idea to contact us to get it checked out. The sooner you address the problem, the more successful you will be combatting tech neck and ensuring strong posture. Here are some videos we made to help you be healthier at your desk or in front of that screen.